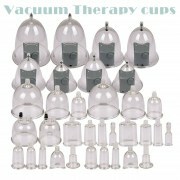 Vacuum therapy stimulates the muscles, breaks the cellulite and fat deposits, removes toxins and improves lymphatic drainage. 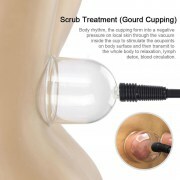 Vacuum therapy also helps restore the natural elasticity of the skin to soften the appearance of facial wrinkles and "orange peel" dimples also on the thighs and buttocks. This therapy is painless, safe and highly effective. 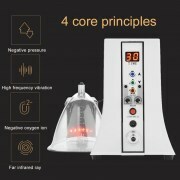 In vacuum therapy through the combination of their different mechanisms of action and stimulating of the blood; performs lymphatic drainage, which means a direct stimulation of fibroblasts and an increase in elastin production collage grid, improves the texture and tone of the treated area.